It’s not that I’m knocking the movie and television work. Some people do better on their own. I don’t. If they’ll have me and the show does well, I could do this another two or three years. 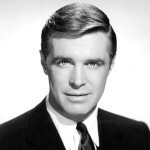 George Peppard was born in Detroit, Michigan, USA. He was an American film and television actor. During 1948 and 1949, he studied Civil Engineering at Purdue University. In 1955, he earned his bachelor's degree from Carnegie Mellon University in Pittsburgh, Pennsylvania. His role in several films include: Breakfast at Tiffany's, The Carpetbaggers, The Strange One, Home from the Hill, Operation Crossbow, Rough Night in Jericho, The Executioner, Newman's Law, Damnation Alley, From Hell to Victory, Battle Beyond the Stars, and Silence Like Glass. His role in television include: The Alcoa Hour, Banacek, Crisis in Mid-Air, The A-Team, Man Against the Mob, and Night of the Fox.